It’s the fifth suicide in five months. Yu Mein Chow, a 56 year old living in Queens, was found dead in the East River on May 11. Having spent $700,000 on the coveted medallion that would allow him to operate a cab in the city, he found that he just couldn’t make enough driving his cab to make it worthwhile. With no other options, he chose to end his life. The New York Times has been following developments on these taxi driver suicides as they happen. 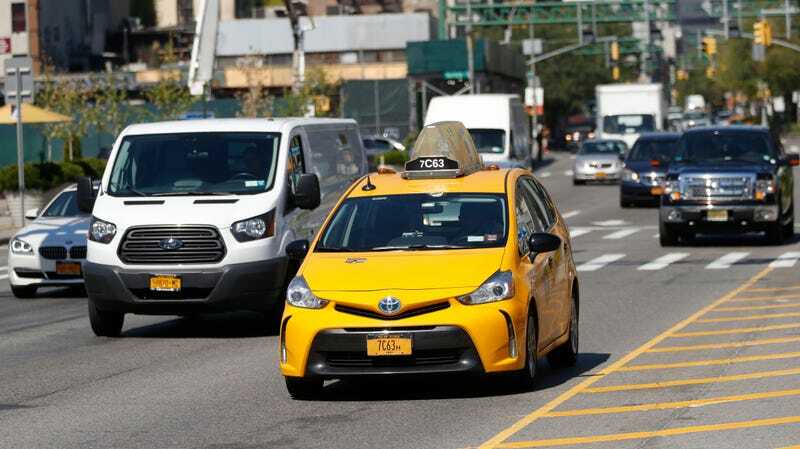 In a world proliferated by ride shares like Uber that don’t require a taxi medallion and therefore undermine the importance of taxis, drivers are finding it harder and harder to make a living. The medallions are intended to limit the number of cab drivers and thus ensure their livelihood. But ridesharing apps like Uber had just made that useless because just about anyone can get behind the wheel. It’s a heartbreaking development. Drivers have been begging City Hall to make changes to protect their livelihood, but it just hasn’t been enough. Five cab drivers have ended their own lives since December of 2017—one even going so far as to shoot himself outside of City Hall. But nothing has been done yet to ensure that these drivers will be protected from the onset of rideshares. According to NYT, drivers are working 12- to 14-hour shifts to make up for the income that they lost trying to become a taxi driver in the first place. In the case of Helen and Nicanor Ochisor, the couple shared 12-hour shifts in a single taxi, taking turns driving in the day and then at night. But it still wasn’t enough to make a living on. While we can’t ask those who committed suicide what the true factors leading to their decision was, the string of similar stories about these cab drivers has led to some pretty strong conclusions. The fact that all of these drivers have been suffering economically and working incredibly long hours only to be consistently ignored by the government that’s supposed to be supporting them is harrowing. But the people of New York don’t want that change. Mayor Bill de Blasio tried to cap Uber in 2015, and he suffered a wild defeat. It’s starting to become more and more apparent that something needs to be done, but progress is necessarily slow. Political decisions like these can’t be made in a day. But several bills are being discussed again that could change the rules for rideshare apps. It’s the side of apps like Uber that no one ever wants to discuss, but it’s time we start having these conversations. In cities like New York, actual lives are at stake.